Vodacom has enjoyed several business benefits from its BI implementations, says Morn'e Bosch-Serfontein, executive head of the Vodacom BICC. 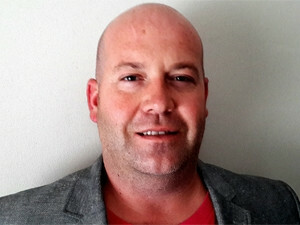 The ITWeb Business Intelligence Summit 2015, to be held on 17 and 18 March at Vodacom World in Midrand, will feature a case study presentation by Morn'e Bosch-Serfontein, executive head of the Vodacom Business Intelligence Competence Centre (BICC), on building better connections through a BI competence centre. According to Bosch-Serfontein: "The target operating model, as defined by Vodacom BI, proposed a consolidation of all management information systems/BI/data extraction functions into an independent function responsible for all performance reporting in Vodacom SA." He says this function needed to harvest, aggregate and report measurements to respective service recipients in order to drive desired performance behaviours. It had to be responsible for the provision of historical reporting-type measurements, as well as all forward-looking and predictive measurements. The BICC "also had to standardise metric definitions, own measurement tools and templates, and be accountable for data integrity, extraction and tactical business support". He says Vodacom has already enjoyed several business benefits. "The application of the BICC model now used by Vodacom is resulting in fast, tangible insights and actions. "Vodacom can now elicit and gather business reporting requirements from the various business units (EBU, CBU, device and regional), and can engage with the relevant stakeholders from the various business units and break down the requirement into detailed report purpose, layout, frequency and method of delivery." This 10th annual BI conference is packed with presentations by local and international subject matter experts, including several case studies from South African corporates. Get there to find out how to turn your BI insights into profits for your business. Click here to register. In addition, Bosch-Serfontein says the company can evaluate the impact of the required report and delivery mechanisms, and recommend insights to enhance and optimise the reports. "We can also analyse current and future reports and ascertain whether they meet business requirements, make the required changes, and deliver the reports at the frequency required." Bosch-Serfontein will discuss Vodacom's BI implementation and benefits in detail during the BI summit. His telecoms case study is among several industry-specific local success stories that will be shared with delegates at this 10th annual conference.